An underwater gas pipeline linking Romania to Bulgaria through the Danube has been completed as of late. The pipeline, actually linking the towns of Giurgiu and Ruse, will be 25 kilometers long and should have been finished as early as 2012 but the project was delayed because of the flawed procedure on the Danube’s underwater crossing. The pipeline will have a maximum transmission capacity of 1.5 billion cubic meters per year, from Bulgaria to Romania, while the annual capacity for the transmission of gas from Romania to Bulgaria will stand at 500 million cubic meters. The new pipeline will be used for gas imports but also for the export of natural gas and will soon become operational. The Romania-Bulgaria Interconnector received European financing accounting for 23 million Euros, of which 10 million were earmarked for works on the Romanian bank, while 13 other were earmarked for the Bulgarian part. The deadline for all types of work is set for December 31st, 2016. The gas pipeline linking Ruse to Giurgiu is part of a project whose acronym is BRUA, which, in Romanian, stands for Bulgaria, Romania, Hungary and Austria. The project is set to link the natural gas networks of the four countries, facilitating the export of natural gas from the Black Sea to Austria. Romania is so very close to meeting the target of being energetically self-sufficient, thanks to the large amount of natural gas resources discovered in the Black Sea. Here is what Romania’s Energy Minister Victor Grigorescu said on the matter, in an interview to radio Romania. About the BRUA gas pipeline project, the Secretary General of the Romanian Association of the Petroleum Exploration and Production Companies Association Daniel Apostol had this to say. 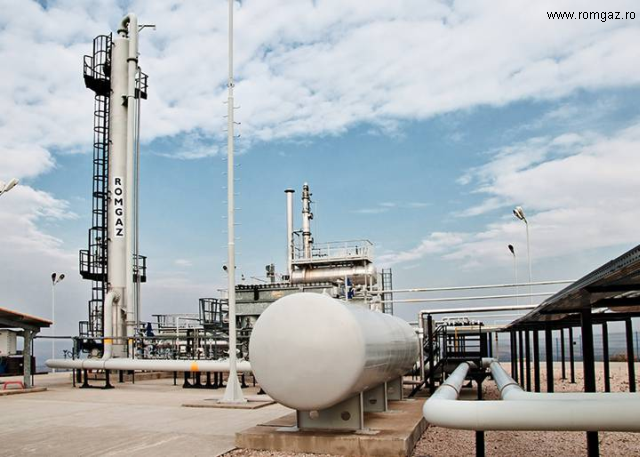 For works at the BRUA gas pipeline on Romanian territory, the Transgaz natural gas company in Budapest signed in early September the agreement enabling the Romanian company to receive 179 million Euros worth of European funding through the European Interconnection Mechanism. For the first year, once the proper functioning of the gas pipeline is secured, based on the signed agreements, Transgaz will provide a flow of 0.5 billion cubic meters for the pressure of 29 bar at the border. The BRUA gas pipeline has been developed due to the growing need for natural gas supply sources to be diversified, in the case of European countries. Also, the security of Romania’s natural gas supply has been enhanced through the access to new sources, while no less important is the necessity to provide the transmission to Central-European markets of natural gas supplies from the Caspian region. The final document of Romania’s Energy Strategy for 2016-2030 with the prospects for 2050 will be made public soon.